Our courses are suitable for all the British National Governing Body awards. 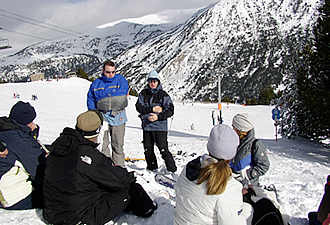 Our Trainers are experienced Ski, Mountain, Mountain Bike and Water based Rescue personnel with a wealth of practical ‘hands on’ experience and first aid knowledge. We are able to deliver Emergency and First Aid at Work qualifications, meeting HSE requirements for the employer. Our Trainers are qualified First Aid Trainers who meet the quality standards required by the HSE. Ski Patrol is at the heart of BASP. Renowned throughout the world for their professionalism, often in adverse conditions and high risk areas ski patrollers manage mountain safety, deal with incidents and manage casualties including treatment and rescue. Highly experienced professionals delivering First Aid courses to ensure Safe, Confident Responders. We are at the core of the BASP training experience. Through high energy sports like skiing and mountain biking where casualties are common, we have hands on real experience. BASP was founded in 1987. In 1992 we became an HSE approved provider of First Aid and from April 2013 - April 2018 we were an approved as an SQA centre. We are able to deliver First Aid at Work Courses. 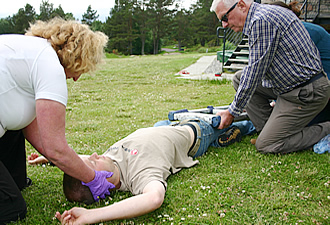 BASP Trainers are highly experienced professionals delivering First Aid Courses to ensure Safe, Confident Responders. 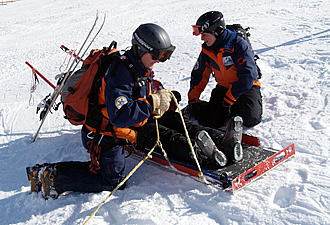 We provide quality training in outdoor first aid & ski rescue. 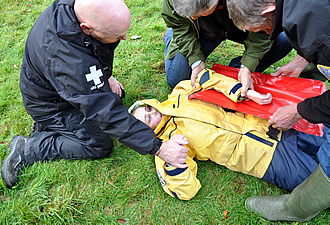 BASP are well known by outdoor enthusiasts who require knowledge of first aid in a work and outdoor remote environment. BASP is also known & respected within the international ski patrol world. We regularly tailor our courses to meet client’s needs, travelling to a location to suit them. Following discussion we select a Trainer who is able to deliver the most appropriate training. Just contact us to discuss your requirements. 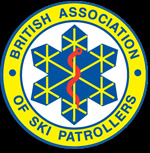 BASP (British Association of Ski Patrollers) was founded in the winter of 1987 to standardise training for Ski Patrollers who provide rescue and first aid services in British Ski areas. In 2007 we became a Company Limited by Guarantee, registered as BASP UK LTD. In 1997 we became an HSE approved provider of First Aid and in April 2013 we were approved as an SQA centre to deliver First Aid at Work. In April 2018 we decided to remove our SQA Approval.